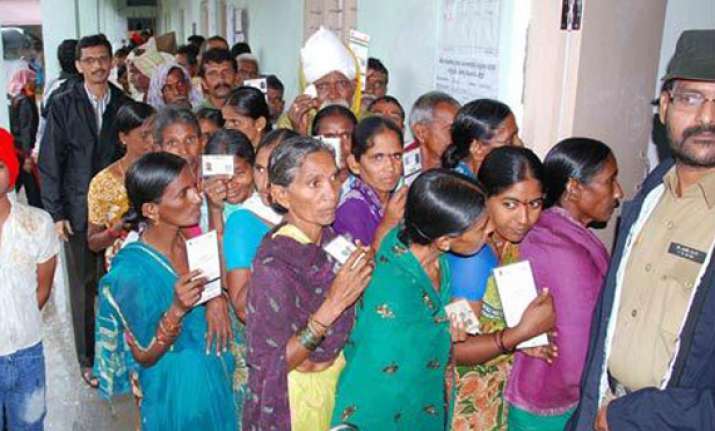 Hyderabad, Jul 27: As many as 7,038 offices of sarpanchs (village heads) would go to the polls during the second phase of Gram Panchayat elections which are being held in Andhra Pradesh today. Official sources said 2,892 candidates are in the fray for the sarpanch posts. Polling will be held from 7am to 1 pm and votes will be counted from 2 pm. The State Election Commission has made elaborate arrangements for the conduct of the poll. The first phase of elections was held on July 23. As many as 2,642 sarpanchs in the state have already been elected unopposed. Elections would be held for the office of sarpanch (village head) in 18,721 Gram Panchayats. The third phase of polling will be held on July 31.